The Kat's Scratch Pad: Prop Off! A quick update on my plants - today found me switching off the propagator! They'll be staying under the artificial light for now, but I'll be gradually introducing them to the sun for an hour or two a day until they are ready to move to their permanent home. I did have a bit of a situation yesterday when they suddenly went all limp! 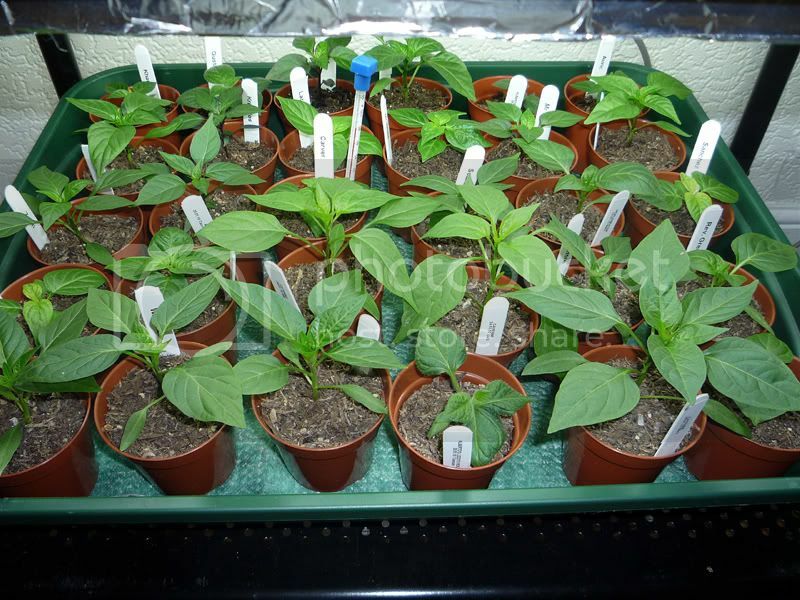 I gave them a good drenching and they are as right as rain today... hence my decision to switch off the propagator now. The heat is drying them out, especially as they are taking in water far more now than they did when they were seedlings.